In this series, my main character Sara attends NPU or New Paltz University and lives in Capen Hall. Capen is based on the ‘real’ Capen Hall that I lived in while attending SUNY New Paltz (or The State University of New York at New Paltz for those of you who live outside the state of NY) Unfortunately SUNY New Paltz doesn’t exactly drip off the tongue so I changed the name of the school to NPU for short. 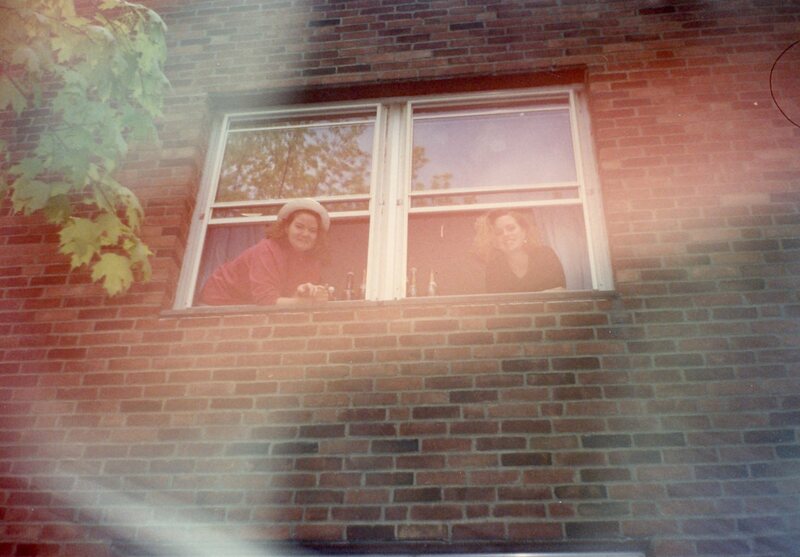 Sara lives in my old room on the second floor girls’ hallway with windows looking in on the quad. My room would be about dead center in the photo below. 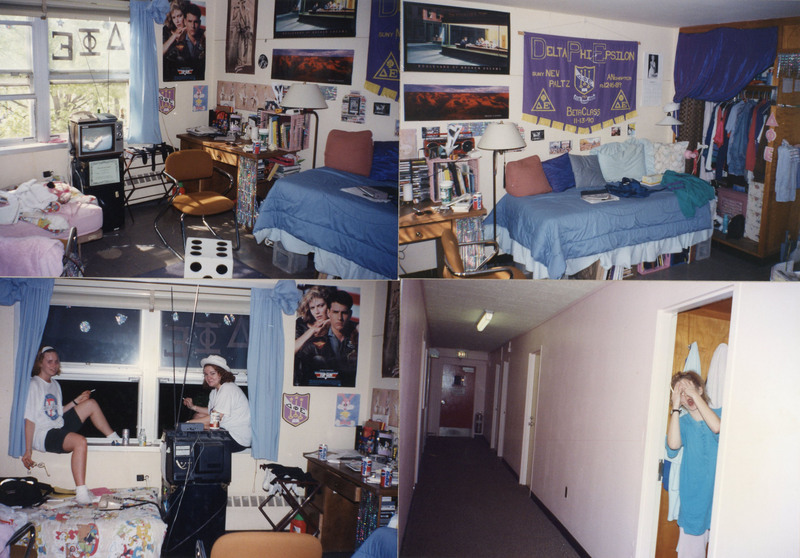 Of course, Sara attends NPU about two decades after I did, but I have to assume dorm life doesn’t change a whole heck of a lot. I mean we didn’t have vampires roaming the quads in my day, but who knows what goes on there today, right? 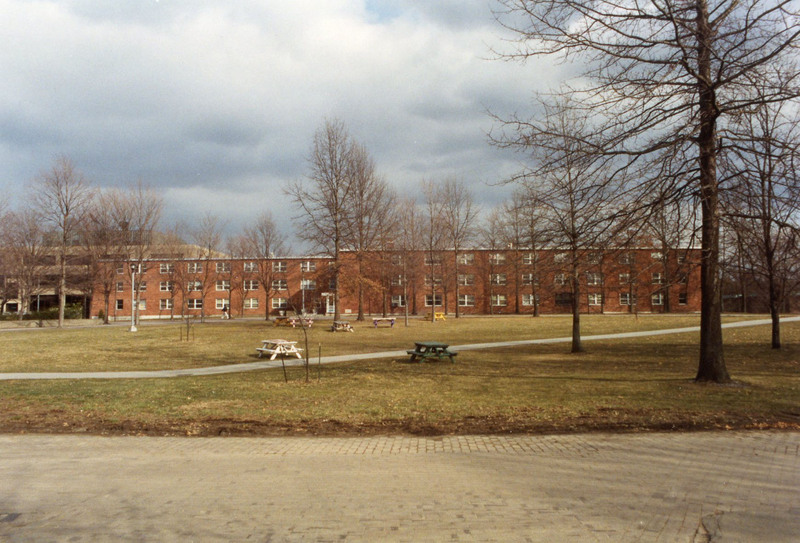 So to give you a visual of what Capen Hall looks like in my mind, I though I’d share these photos from my days at New Paltz.